Shortly after the presidential election, Casey Bailey, one of the dwindling number of Democrats in Montana, organized a Facebook group for his neighbors to vent about national politics. The driving question on everybodys mind for those first weeks and months What can we do? had no obvious answer. By February, one started to emerge: President Donald Trump had nominated Rep. Ryan Zinke of Montana to be secretary of the Interior Department, and as Zinke rode his horse to his first day on the job, his old job became vacant. To the surprise of Bailey and much of the rest of Montana, a familiar name emerged in the race to fill the job. Rob Quist, the legendary banjo-strumming folk singer with a populist streak and a penchant for public service, was running as a Democrat for Zinkes seat. Democrats chose their nominee at a state convention, where, as the first ballot turned to the second and then third, it gradually became apparent that Quist was deadly serious. He had barnstormed the state, urging locals to set up county parties, get active and come vote for him at the state convention. Bailey, whose journey into political activism had begun with a simple Facebook page, found himself a delegate at the gathering. The 37-year-old organic grain farmer cast his vote for Quist, who won on the fourth ballot. In a state with 56 counties, at least six saw new Democratic central committees pop up in response to Quists statewide tour, said Nancy Keenan, the executive director of the Montana Democratic Party. 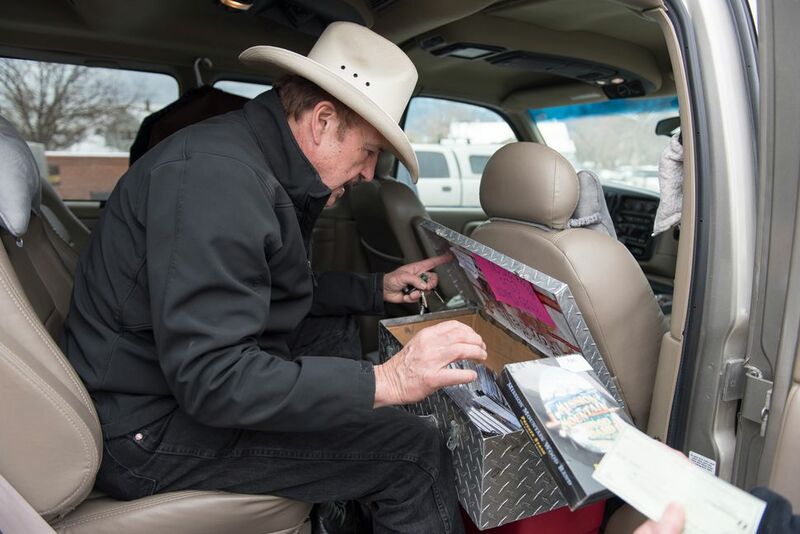 When Quist arrived last month in Fort Benton, Chouteau Countys biggest town, nearly 70 people gathered to hear him speak. Were a very Republican, red, conservative area, Bailey told The Huffington Post by phone in a recent interview,describing the first rally they held with Quist in March. I was like, Holy cow! Now, his rallies regularly draw hundreds. Its precisely the kind of organizing Democrats say is essential to rebuilding the party and taking back power.But back in Washington, Democrats are conflicted on how or whether to get involved in the race. Some arent following it at all. Rep. Jim Clyburn (D-S.C.) was the Democratic Congressional Campaign Committees national mobilization chair in 2016. Montana special election? Clyburn said, when HuffPost asked if the DCCC planned to get more involved in the race. Somebody nearby told him the race was to replace Zinke. Oh, I didnt know about that, Clyburn said. Rob Quist campaigns on March 10 in Livingston, Montana. Montana voters will go to the polls on May 25to choose between Quist and a Republican easily panned as a cartoon plutocrat fresh off a statewide election loss. The presidents approval rating is at 35 percent, and a special-election loss in Montana would be a crushing blow. The DCCC is not running ads in Montana, a sign that they see the race as unwinnable and not worth the investment and also that they worry any support from national Democrats would make the race a referendum on the two parties. And even with Trump in office, thats a contest Democrats lose. Yet there is an argument to be made that things are different. The population of Helena, Montana, is around 30,000 if everybody is home. On Jan. 21, some 10,000 people filled the streets for the towns womens march. Indivisible groups and new county Democratic parties have been popping up. Democrats in the state have won before: The party controls the governors mansion, and populist rancher Jon Tester is one of Montanas two senators. Republicans, meanwhile, put up a walking parody of a candidate. In this populist moment, the GOP threw its weight behind Greg Gianforte, a millionaire tech guy from New Jersey who, after moving to Montana, sued to try to keep people from being able to fish in a stream that ran by his property. He is a major proponent of privatizing public land. Since moving to Montana, he has been trying to buy his way into elected office, fresh off a defeat in a bid for governor in which his campaign aired 30,661 television ads, more than any other state candidate in the country. In doing so, Gianforte spent at least $5.1 million of his own money. While the DCCC isnt doing much in Montana yet, Rep. Dan Kildee, who last cycle was the campaign arms head of its program to help vulnerable candidates, thinks they should. Asked Tuesday if the campaign arm should be actively involved in Montana, he said theyre moving in that direction. I think we are, from everything that I see, and we had some discussions even this morning, said Kildee, who is a DCCC program co-chair this term. We have to seize this moment and help solidify the current narrative, which is this president and this party, the Republicans, cant govern and we will all pay the price for that, said Kildee. Whats interesting is that theres interest around the country in these races that normally dont get any attention beyond their local media market. But while the DCCC may be sitting on the sidelines for now, the Democratic National Committee appears to be giving it a much closer look, and plans to send high-profile surrogates there in the coming weeks. The unusual energy on the ground, Kildee said, needs to be channeled. It is not a zero sum game, where energy spent now is energy that wont be there later. It goes to the point: heres something you can do. This is a tangible step you can take, he said. Trump, Kildee said, changes everything. He creates an environment where conventional wisdom has to be discarded. Conventional wisdom said he couldnt get elected, but I dont think that the wisdom all falls in the same direction. The conventional wisdom is that in Montana, or Georgia, those seats are out of reach for us. I wouldnt bet on it, he said. The absence of national Democrats from the Montana scene, especially compared to the furious effort underway on behalf of Jon Ossoff in suburban Atlanta, seems like a symptom of a party that is still awfully sick, despite the energy boost its gotten from an enlivened resistance movement. Ossoff has raised about $4 million for his campaign, which New York magazine dubbed the Trump-hate weathervane. 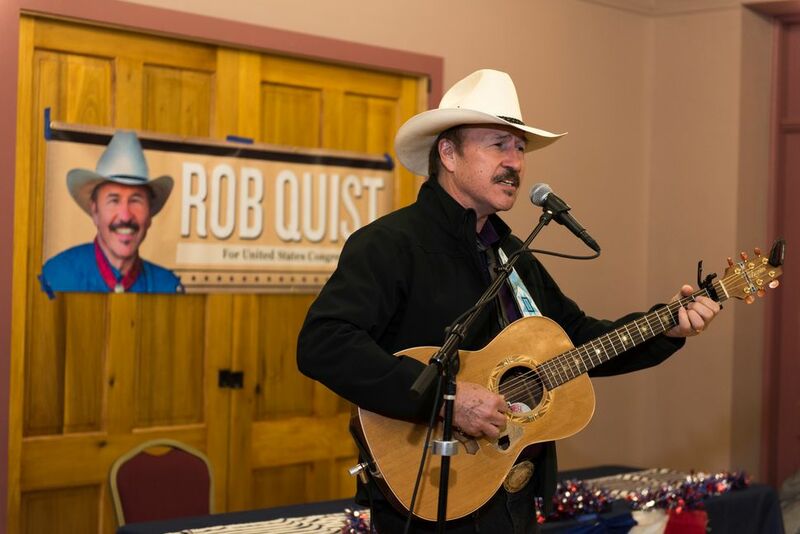 Quist, by contrast, has raised more than $750,000and has a 16-year record of financial troubles, including debts that went into collection and a lawsuit by a bank over an unpaid loan. Quist uses his own financial struggles as a way to connect to everyday Montanans. He is a first-time politician but has been known to the state for decades: first as a high-school basketball champ, then a University of Montana player, then in his music career, then through his public school activism and other civic engagement. Staying out of the race, according to one school of thought, saves not just money, but face. Democratic Party operatives have over-learned two lessons: first, if they do not compete somewhere, no one they care about will think they `lost. And if all of their actual losses are lost conventionally, their conventional career will continue upwards, said Jeff Hauser, a longtime Democratic operative who does not endorse losing as a strategy. Basically, losing the same way your predecessors lost is solid career advice for Democratic Party operatives. Quist is running as a populist and supports a single-payer health care system, but his campaign bristles at comparisons to Sen. Bernie Sanders (I-Vt.), whom Quist backed in the Democratic presidential primary. In his first TV ad, launched Tuesday, he calls single-payer health care we can afford. Hes ardently pro-choice and opposes defunding Planned Parenthood, framing it as a fight against government intrusion into peoples personal lives. He understands climate change, but couches his belief with the exact same anecdote used by Zinke a story about watching the ice in Glacier National Park recede year after year. We Democrats win in Montana on the margins, Keenan said. We need a strong base turnout, to pull independents and a handful of Republicans to win here. We dont look at what happened in 16 as indicative of what will happen. Every race, every cycle, is a new day, she added. We go into those battles fighting to win. Some we win, some we lose, and the national attention on this race is the national attention they want to give out to us here. For Quist, that means keeping the campaign focused on local issues. So, he made public land access the cornerstone of his platform, hoping to make it an issue wedge between Gianforte and Republican voters. In a state where the federal government owns 29 percent of all acreage, access to public lands is a major issue. During the election, Republicans hounded the Obama administration for setting aside large swaths of land, particularly in the West, for conservation. On the first day of the 115th Congress, House Republicans made it easier to sell off public lands by voting to change how the government calculates the cost of transferring those parcels to states or private developers. The move cleared the way for auctioning 3.3 million acres of wilderness, an area roughly the size of Connecticut. In nearby Utah, state Republicans are urging the Trump administration to take unprecedented action to try to reverse a national monument designation made in the waning days of the Obama presidency. Rob Quist is just reading from a sheet of false attacks his handlers gave him, Shane Scanlon, a spokesman for Gianforte, told HuffPost by phone. Gregs a strong supporter of our public lands. Montanans can always count on Greg to protect our public lands because he believes they should stay in public hands, he added, cribbing a rhyming slogan used against Gianforteby Democrats during his gubernatorial run. Last month, Trump signed an executive order lifting a temporary ban on federal coal leasing. The move could boost the industry in Montana, which was already projected to see a bump in production over the next two years as coal regains some of the utility sector amid rising natural gas prices. But Gianforte makes it easy for Montana Democrats to paint him as a caricature of an out-of-touch rich guy. He has donated repeatedly to organizations that push to sell off public lands including a $27,500 contribution to the Foundation for Research on Economics and the Environment, a top national advocate for federal land transfer a fact Democrats have played up. Public land access became a touchstone issue during Gianfortes gubernatorial race, during which Democrats skewered him as a millionaire from New Jersey who thinks theyre able to negotiate our rights away if they send us threatening letters, if they sue us or just if they intimidate us in some way. Ive been standing up for wild lands and public lands all my life, Quist said. The state would be solidly behind me on this. Quite frankly, this is the reason Im in the race. This a huge issue for me. Still, Gianforte has deep pockets and serious name recognition. His gubernatorial bid turned out to be a close race; Gianforte won 46.4 percent of the vote to incumbent Gov. Steve Bullocks 50.3 percent. He has refused to disclose his net worth, but he reported income of $220.5 million between 2005 and 2014 on his tax returns. 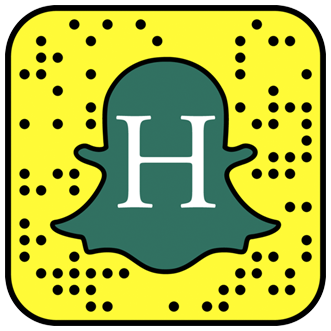 Hesold his company RightNow Technologies in 2011 to software giant Oracle Corp. for $1.5 billion. Quist isnt running as a complete political novice, either. He served three four-year terms on the Montana Arts Council, to which two governors appointed him. He lobbied to keep funding for music, theater and arts programs in the states public schools and developed an anti-bullying curriculum. He also served as the state Department of Commerces cultural ambassador, traveling to Japan several times over his three-year tenure. He worked as a spokesman and fundraiser for the Montana Food Bank Network. Rob Quist sells a few of his music CDs after a campaign stop on March 10 in Livingston, Montana. Quist rose to prominence as a founding member of the Mission Mountain Wood Band. The country-rock fivesome, sometimes abbreviated M2WB, helped start the University of Montanas annual Aber Day kegger, a party that earned a spot in Guinness Book of World Records for being the biggest benefit kegger. That was always the most epic engagement we played, Quist said. Even though we traveled all over the country, that was the one we looked forward to. After spending a Saturday afternoon canvassing for Quist in Fort Benton, the biggest town in Chouteau County, Bailey said he felt optimistic about his chances. Rob Quist has the energy and the momentum, and people dont really like Greg Gianforte, he said. To me, I think hes got it. But people still have to vote. The special election is scheduled for the middle of the week in a month when voters dont typically go to the polls. Temperatures are expected to be about in around 60 degrees Fahrenheit. The forecast includes rain. The election is on a Thursday, and springtime is tough because people arent thinking about voting, Bailey said. And, traditionally, Republicans just turn out more mechanically to vote around here. CORRECTION: This story misnamed Rep. Dan Kildee as Dale Kildee. Dale, a former congressman from Michigan, is Dans uncle. It also misidentified Kildees title within the DCCC.